This wonderfully varied spirit, made from sugar cane has a vibrant tropical heritage. Leading rum expert, Ian Burrell takes us through the history, story and trends in the world of rum. Rum can only be produced by sugar cane by-products – molasses, sugar cane syrup, or sugar cane juice are the most popular. You are best to categorise your rums by country, as some rum producing nations have their own definitions of what rum is. Clear rums are the most popular and can vary in flavour depending on where they were created. Golden or amber rums are normally aged in “once used” or “fresh filled” American oak barrels which can create vanilla, cocoa, oak, dried fruit, sweet spices and tropical fruit flavours. Rums that are labelled as dark rums tend to be aged longer in barrels than lighter rums and have extra caramel added for colour. Rum producers that make black rum or navy rums like to add a little extra caramel to their product to promote a full bodied taste, with notes of burnt sugar, toffee, smoke, leather and tropical fruit. One of the most important parts of the make-up of rum is its blending. A bottle of rum can be the result of several different rums skilfully blended together by a master blender. A recent trend in the world of rum has been rum companies experimenting with a variation of wooden casks to achieve a different type of finish to their rums. Another trend in the world of rum is sipping this spirit on its own and not just using it as a spirit to mix with. Rum cocktails will always be a popular way to introduce consumers to the category. It is trendy to use rum in exciting ways to display its approachable character, such as rum cocktail & food pairing, Tiki drinks showcasing the blending of rum flavours and a twist on the classics that traditionally call for whiskey or brandy. The history of rum is a varied one with many stories about its origins that make it one of the most fascinating spirits in the world. Most historians also agree that although sugar cane distillates were being made in Asia and South America years before its birth in the Caribbean, rum got its name from the mid-17th Century word ‘Rumbullion’, which was an old English term for ‘an uproar or tumult’. In 1657 a deed for the sale of the Three Houses Plantation in Barbados included “four large mastrick cisterns for liquor for rum,” which is the first known official appearance of the word rum on any of the islands in the Caribbean. Traditionally rums have been categorised as white, gold, dark and premium but they are far more complex than that. Rather than separate your rums by their colour, you are best to categorise your rums by country, as some rum producing nations have their own definitions of what rum is. For example, all rums from Venezuela have to be aged for a minimum of two years in oak barrels before they can be called rum. In Puerto Rico all rums have to be aged for a minimum of one year. In Jamaica all aged statements on rum bottles are the youngest rum in the blend, while in Panama they use average age statements. In Guatemala all rums are made from virgin cane honey or syrup, while agricole rhums from Martinique are made from fresh sugar cane juice. Another difference in rums is the different importation rules and regulations. In Europe for example, the bottle strength of rum can be 37.5% alcohol by volume. In the USA all rums have to be a minimum of 40% alcohol by volume while in South Africa, rum has to be a minimum of 43% alcohol by volume. One of the most important parts of the make-up of rum is its blending. A bottle of rum can be the result of several different rums skilfully blended together by a master blender. This process can take years of training and techniques are passed down from generation to generation to keep with tradition, heritage and to reinforce the brand identity of particular rum companies. The rum master blender is seen as an artist when creating a final rum but has many challenges during the process. None more so than tropical ageing. As most rums are aged in tropical climates, the evaporation of alcohol from barrels in a warehouse can be more extreme in warmer countries than alcohol from barrels in cooler countries like whisky in Scotland, for example. The “Angel Share” or loss of whisky due to evaporation in Scotland is about 2% per year. In the Caribbean, for example, the loss can be anywhere from 6% to 10% per year. This is the reason why you don’t see as many heavily aged rums from the Caribbean because the loss of alcohol per year is incredibly high. However, some rums will move their ageing facilities to cooler parts of their country to slow down the evaporation rate of their rums, thus saving money. A recent trend in the world of rum has been rum companies experimenting with a variation of wooden casks to achieve a different type of finish to their rums. Limousin oak or ex cognac barrels are regularly used to give a dryer finish to a rum, while dry sherry casks are used subtly to impart a medium “sherry like” texture and feel to the finish of the rum. For even more sweetness Spanish white wine casks have been used to finish off a rum after years in American oak. Other notable casks that are being used for rum finishing are port barrels, zinfandel and other Californian wine casks. All of these styles, practices and interpretations of rum make this spirit category fascinating, with traditional methods of rum producing embracing new and modern techniques. With new rum brands being launched every month and more consumers discovering the wonderful world of sugar cane distillates, it’s no wonder that the rum category is seen as one of the fastest growing around. With an array of flavours, bartenders around the world can use rum as the perfect canvas for their cocktail art. 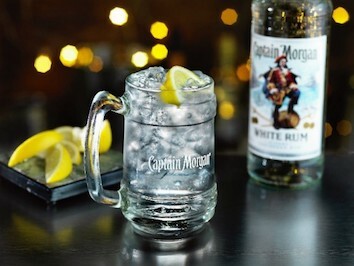 Take a look at some rum recipes here. Join in the conversation and tweet us at @diageobarac, on Instagram @diageobarac or like us on Facebook – we’d love to hear from you!